I don’t know about the rest of you, but ever since I became a busy wife and stay at home mom to two small kids, I find it really hard to make time for myself. And it can be even harder to coordinate time with my friends, most of who are also busy mothers as well! For example, I sent out about 15 evites for this girls night and only two were able to make it, if that tells you anything about how busy every one is in the summer! When I was contacted to participate in a campaign from Gevalia and Safeway, I was really excited for the opportunity. 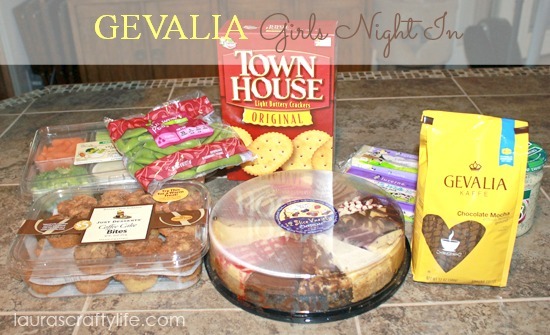 It would be the perfect excuse to have a girls night in with some of my girl friends. 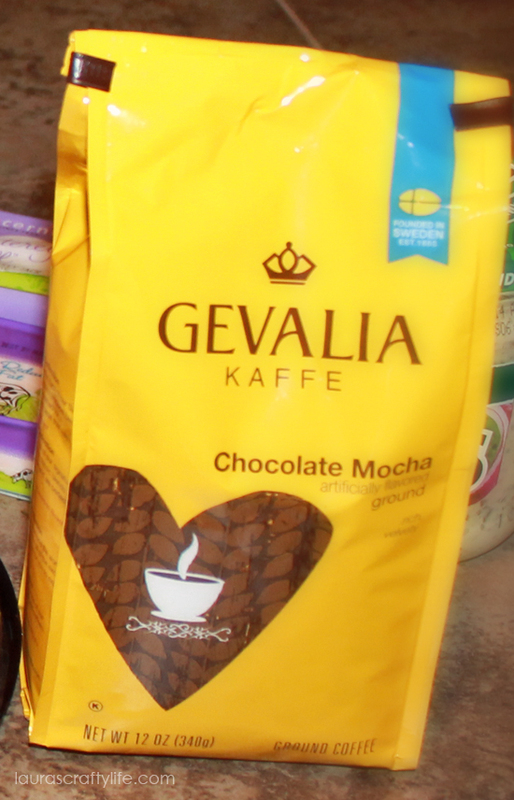 I went to Safeway to purchase our Gevalia coffee and some other yummy treats. 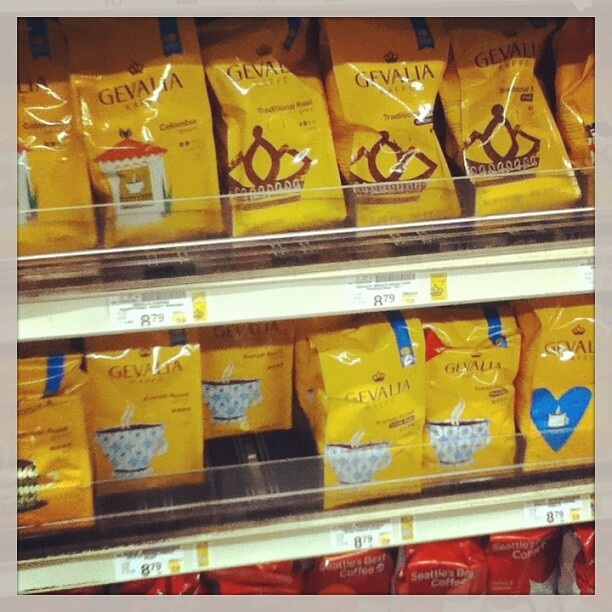 If you follow along with me on Instagram, you will have seen this picture of the large selection of Gevalia coffees at Safeway. I chose the Chocolate Mocha flavored one. Chocolate and coffee together – does it get any better? I am usually just a plain Jane coffee girl with some flavored creamer, but I have definitely been converted. This coffee was delicious! Mixed with some vanilla creamer, it was even better than the coffee you can get at the fancy coffee shops! I purchased some delicious assorted cheesecake slices, coffee cake bites (the little muffins), a veggie tray and some crackers and cheese. 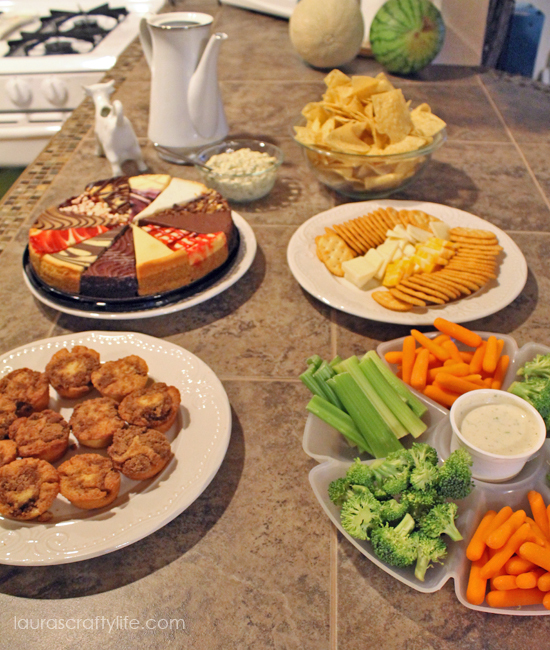 We were getting together in the evening and I wanted to mainly have desserts and finger foods to snack on since we had all already had dinner. See that cheesecake? Oh my goodness, it was delicious! 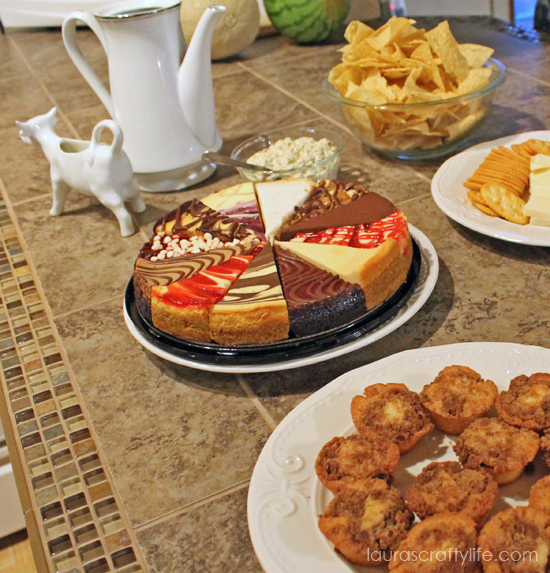 My husband and kids were also pretty excited about the cheesecake because we had plenty leftover after the get-together! It was so nice to have some grown up time with my friends. I always feel so recharged after laughing and having fun conversations with my girl friends. After talking to a 6 and 3 year old all day, it is nice to engage in some adult conversation. I don’t think we do it nearly enough! 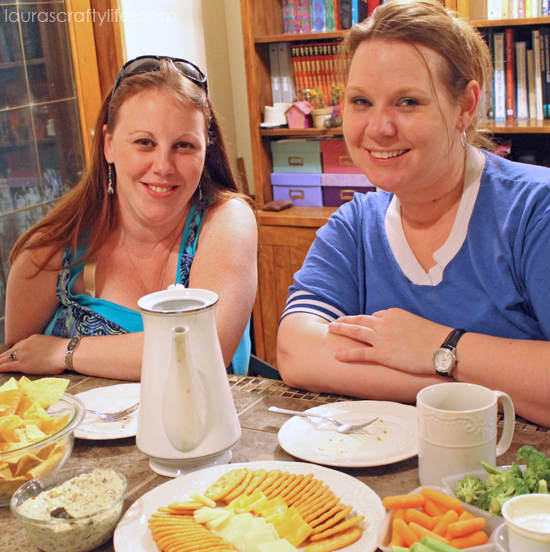 What do you normally do with your friends when you have a girls night in or out?